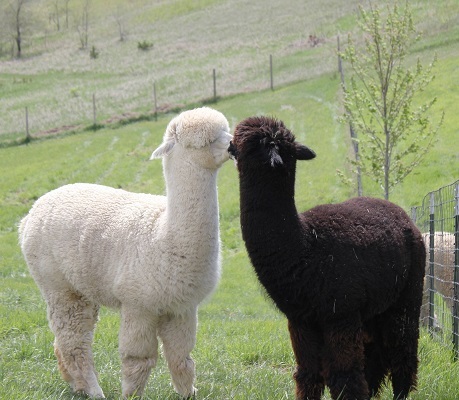 Alpacas of the Heartland LLC is a farm located in Fort Calhoun, Nebraska owned by Sheri and Mike Jacoby. 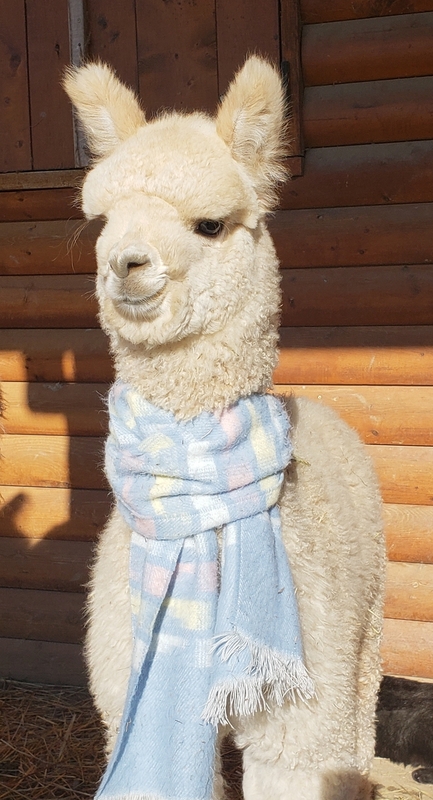 Due to the Washington County Board of Supervisor's decision on October 23rd 2018, Alpacas of the Heartland’s Boutique is no longer open to the public. In addition, we are only allowed to have visits for a fee during the months of September, October, and November. The dates that we are available for tours in November are 4, 10, 17, 23, 24. Times available for visits are 10 AM, noon, and 2 PM. Visits are about an hour and you get carrots to feed the alpacas for $6/person. YOU MUST MAKE RESERVATIONS FOR A VISIT AS WE ARE LIMITED ON THE NUMBER OF PEOPLE THAT WE CAN HAVE AT ONE TIME FOR VISITS. CALL OR TEXT 402-669-6979 TO MAKE RESERVATIONS. Store purchases can be made during the hours of 10 am to 4 pm on the above dates. We will have items on tables on our driveway as we are no longer allowed to sell out of our house. if these times are not convenient for you please call, text or email me to make other arrangements. Sorry for any inconvenience. This is out of our control as we have tried to fight to keep open - thank you for your understanding. We are still allowed to do classes and some educational events so make sure you are on our email list to be informed of upcoming classes. We will also entertain select visit days by donation next year. We are located in the beautiful hills of Fort Calhoun, Nebraska on 13 acres of mixed grassland and woods. We have a "log style house" overlooking our log style barn in a peaceful rural setting. 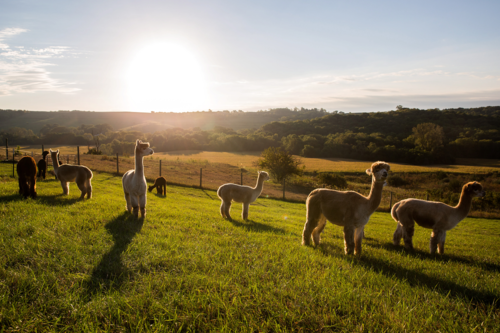 Every morning we are blessed with being able to watch the sunrise over our alpacas. We saw our first Alpaca in July 2007. We were able to feel how soft the fiber was on this beautiful, gentle animal and immediately fell in love - we even thought it was going to give us a kiss! We spent the following weekend doing research on the internet, and came to the conclusion that this was something we both wanted to pursue. Further research, visiting a number of alpaca farms, attending seminars, and alpaca shows only reinforced our belief that this business venture was going to be less stressful, fun, profitable, and bring us closer together. We purchased our first bred alpaca just 4 months after our initial alpaca contact. Our research supported the decision to acquire only the highest quality females which had been bred to top quality studs, and rebreed the females to other top quality studs as we expand our foundation herd. We have selected our stock from across the United States. Our professional backgrounds are hospital pharmacy, and in construction, as a project manager. Our backgrounds have been beneficial in the design and layout of our facilities, as well as in preparation for the care of our animals. We added Sheri's Alpaca Boutique fall 2012. Classes began being offered in January 2013. We offer a few classes a year, generally in the winter season. Starting in 2019, we will only be able to offer visits for a fee seasonally. Our seasonal hours will be September, October, November. These visits will be by appointment only as the owners will continue to have their full time jobs during theses months. 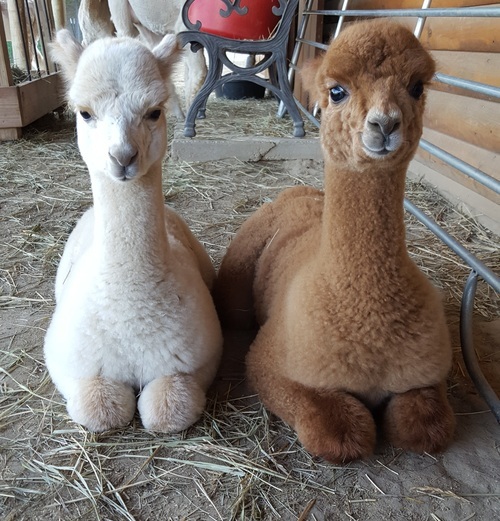 ATTENTION – Due to the Washington County Planning Board’s decision on October 4th 2018, Alpacas of the Heartland’s Boutique is no longer open to the public as we are not ADA compliant. Due to the nature of our property we can never be ADA compliant. At this time, we have not decided how this is going to impact our Alpaca business and any tours that we may do in the future. We will update you if we are open to tours, but at this time no tours are being scheduled. Thank you for your support. Please give us a call if you are interested in joining the wonderful world of alpacas. 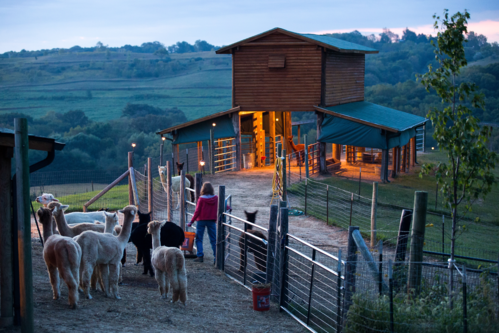 We will help you get your start with choosing a few good alpacas for your farm. Take some time to come out, relax, and see what the alpaca lifestyle is all about.. Please call for an appointment 402-669-6979 or 402-426-1909.